Pokemon Go is an augmented reality (AR) mobile game that encourages you to explore the world around you while you capture, train, and battle with iconic Pokemon. If you want to find and catch Pokemon from outside your area, and you can't physically travel there, then you need to use a Pokemon Go GPS spoof. Why Do People Spoof Their GPS In Pokemon Go? The main reason that people spoof their GPS location in Pokemon Go is to capture Pokemon that they wouldn't otherwise be able to access. Niantic, the developer of Pokemon Go, also holds special events around the world, and spoofing your GPS can give you access to these as well. The biggest problem with Pokemon Go is that it's meant for use in high population areas. If you live in a rural area that has very few landmarks in Niantic's system, you'll have trouble finding PokeStops and gyms. The other issue is that Pokemon are designed to appear in thematically appropriate areas. So if you live in a landlocked place, far from the ocean or even any large lakes, there are some water Pokemon you'll probably never find. The same is true of Pokemon that are typically found in other specific locations if you don't live near any of these types of terrain or structures, and rare Pokemon that only show up under particular conditions. What Happens When You Spoof Your GPS In Pokemon Go? When you spoof the GPS location on your Android or iOS phone and then open Pokemon Go, the app thinks you're in the new location. That means it will generate Pokemon associated with that new area, and you'll also be able to take part in special events and gym battles based on the spoofed location. 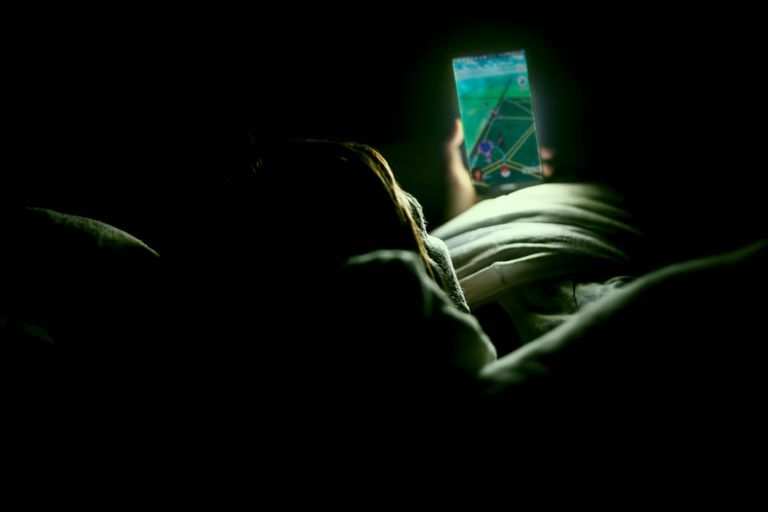 The issue here is that if you abuse this technique to teleport around the world constantly, Niantic may find out that you're spoofing your location and either issue a warning or ban your account. You can minimize your risk by being realistic with your spoofing. For instance, you might shut Pokemon Go down, wait a few hours, and then spoof a location that's a few hours away by car or plane. Even if you're careful, spoofing your GPS location in Pokemon Go still carries a risk. Only spoof your location if you're willing to accept the consequences of having your account banned. The Android operating system supports spoofing your GPS location, but you need to enable developer options and use a third party app. On Android 4.1 and older, developer mode is automatically enabled. On Android 4.2 and newer, you need to turn it on manually. To turn on developer mode: open the Settings app > Select System (Android 8.0 and newer only) > Select About Phone > Tap the Build number seven times. The following instructions work for some, but not all, Android phones. If you are unable to spoof your GPS location, you may need to uninstall Google Play Services on your phone and install an older version. In more extreme circumstances, some Android phones have to be rooted to spoof GPS in Pokemon Go successfully. Open the app, and tap Enable Mock Locations on the first screen. Tap Select mock location app, then FakeGPS Free. If you don't see this screen, you will first need to enable the developer options on your phone. Then return to the FakeGPS Free app, tap the ⋮ (three vertical dots) menu icon, and tap Developer Settings. In some versions of Android, you also have to check the box next to Allow mock locations on the Developer Settings screen. Use the back button to return to FakeGPS Free, and search for the location you want to move to in Pokemon Go. You can also double-tap anywhere on the map to drop a pin. Tap play to enable the fake GPS setting. If it's successful, you will see a message that says "Fake location engaged." If your location doesn't change at all, or it doesn't change in Pokemon Go, you may need to change a setting in FakeGPS Free or even roll back the Google Play Services on your phone to an older version. The specific fix varies depending on the flavor of Android you have, but the developers of FakeGPS Free maintain a FAQ with solutions. Launch Pokemon Go, and verify that your location has changed in the game. To avoid a permanent ban from Pokemon Go, don't change your location too frequently. Niantic is more likely to detect strange behavior and ban your account if you abuse this spoofing technique to travel around the world unrealistically. To get your real location back, open FakeGPS Free and tap stop. Spoofing GPS locations on iOS devices is more difficult than it is with Android devices because you can't just download an app. Due to this difficulty, most Pokemon Go spoofing on iOS devices is accomplished through modified Pokemon Go apps that require a jailbroken iPhone. The good thing about modified Pokemon Go apps is that when you use one, you can instantly spoof your location without any of the headaches associated with spoofing your GPS manually. The downside is that you're using an unauthorized version of Niantic's Pokemon Go app, which can be dangerous if you get the app from an untrusted source. Niantic will also ban your account if they detect that you're using a modified or unofficial version of the Pokemon Go app. If you want a less dangerous option, then you need to use a tool like iTools from ThinkSky that you install on your computer rather than your iPhone. This method doesn't require jailbreaking, and iTools is available for both macOS and Windows. Install iTools on your computer, and connect your iPhone to it with a USB cable. The iTools installer attempts to install additional software. Make sure to uncheck the boxes during the installation process if all you want is iTools. Launch iTools, and click or tap Toolbox. Click or tap Virtual Location. Enter the fake location into the text box at the top of the map, and hit Enter. Click or tap Move here. Open Pokemon Go on your phone and verify that you have moved to the new location. While this method is less dangerous than using a modified Pokemon Go app, it still carries a risk. The developers of iTools maintain a page where you can find more information about how to spoof your location in Pokemon Go without getting banned. To get your original location back, reboot your phone. Pokemon Go Nests Get You New Pokemon When You Need Them! HBO GO vs. HBO NOW: What's the Difference?